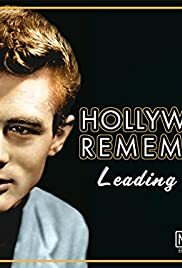 A half-hour celebrity biography series which utilizes vintage film clips, photos and interviews. ....................dominates this series production. From the very opening through a particular installment, it is obvious to the viewer that this is the case. This is the one caveat that we would insist on having disseminated before anyone undertakes watching. THE FILM CLIPS that are utilized in weaving a coherent half hour are obviously culled from so much "public domain" footage as well as some rather old prints of feature film trailers that must have come down to the production team via some old, 1950's television releases. The "previews of coming attractions" are in b & w, even when the picture being plugged is in color; as are its trailers. ADDED TO THAT is what is most likely inexpensive, stock music that plays at opening and during the extensive informative narration. To the series' credit, the music is easy on the ears and never rises to the level of being neither competition for the narrator (Greg O'Neil ), nor does it become an annoyance to the viewer. MAYBE IT MAY sound as if we are being just a trifle harsh in our assessment of film oriented anthology. For this we apologize in advance. IT IS OBVIOUS that those who brought us Hollywood REMEMBERS did so having strong feelings concerning love of film and "the movies." Just because they lacked those deep pockets needed to finance a big time production, doesn't reflect on their sincerity. And even though most of what is discussed during a particular installment may well be common knowledge to most film buffs, there is always some little tidbit of fact that we greet as enlightening. PERHAPS THE BIG difference lies in the background of producer, one Dominic J. Pugliese. This series, Hollywood REMEMBERS, is the end result of a guy who, like you and me, is a Movie Fan-not a Producer. WHAT THE SERIES lacks in amenities, it makes up in sincerity.